Looking for some ways to help out your local animal shelter or rescue? 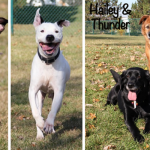 Shelters and rescues are always in need of some dedicated volunteers with a variety of talents and abilities. Whether you have some extra time on the weekends to walk some dogs or just want to help network animals through facebook there’s probably one little thing you can do to make a huge difference to an animal in need. You don’t have to be an animal expert either, a lot of these tips involve taking photos or helping a local rescue develop a stronger presence online. If you have a few spare moments this week reach out to a local shelter, find out what they’re looking for help with and how you can get involved. By volunteering you’ll not only make a difference in your local animal rescue community, you’ll be helping to save animals in need. 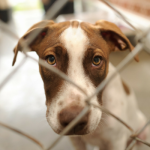 Here’s 8 simple ways you can help shelter animals without adopting. Transport rescued animals to their foster homes. In the last decade hundreds of thousands of dogs have been transported from U.S. shelters to rescue organizations. Many rescues take in shelters dog from rural areas, and many are located in the southern states. Shelters in rural areas often have low foot traffic and a large pet overpopulation problem which leads to their high kill rates. Volunteers drive to these shelters and transport the animals back to their foster homes or new owner. If you’re interested in being an animal transporter you can find many resources online for animal rescue organizations in your area. Foster a dog from a local shelter or rescue. Rescues are always in need of foster homes for their animals. If you have the time and room available you consider letting a homeless dog into your home until a permanent home is found. Each rescue handles fostering differently. Some will do an animals vetting for you while others pay for the visit while you take your foster to the appointments. They may also ask you to commit to bringing your foster to weekend adoption events. Is everyone in the home OK with the idea? Do you have enough time & resources to dedicate to the animal? Are your current pets OK with having new animals in the home? Are you emotionally prepared to say goodbye to the animal when a home is found? Are you OK with the extra cleanup and responsibility another animal will bring? 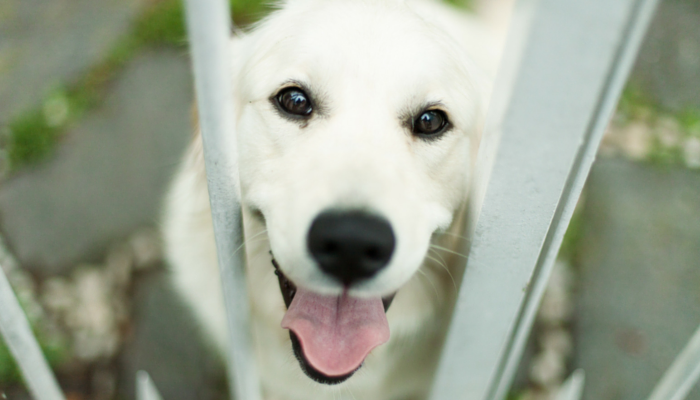 Do you have any pet restrictions based on jurisdiction or housing policies? Do you have the time to take the animal to adoption events & vet visits? Do you have extra time to work on training the foster animal? Fostering is a great way to help animal shelters. It’s not right for everyone, and there is no such thing as a perfect foster home. But if you’re able to give some extra time to an animal in need you can make a huge difference. Fosters are a big part of what helps keep animal shelters & rescues going. 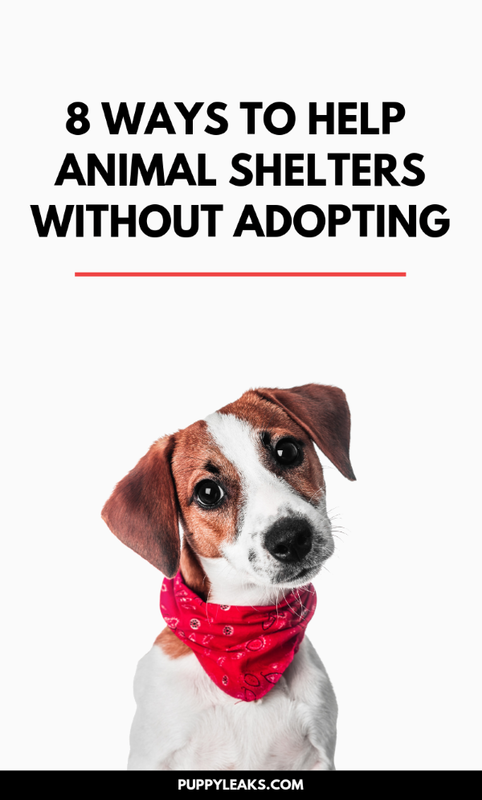 They keep animals out of the stressful shelter environment, make room for new animals to come in, and are able provide potential adopters with invaluable information that ensures it’s a good match. Most shelters have volunteer programs that you can check into. There is usually a minimum age requirement and sometimes they require a brief orientation. Duties might include cleaning up kennels, making phone calls, mailing applications, or taking the dogs for a walk. If you live near a rescue you can offer to help out at their adoption events which often take place on the weekends. They usually need help setting up and cleaning afterwards. Many shelters have their donation policies listed, and many include a list of items they need most. Find a local shelter near you and see if there’s any items you can help out with. Policies vary on whether or not they accept gently used items and/or food items. Most animal shelters & rescues have links to their wishlists on their website. Amazon wishlists are common, and they provide a list of the items they need which you can sort by order of importance. Amazon wishlists include the shelters address which means you don’t have to ship any items yourself; they’ll go right from Amazon to your local shelter. You can buy items for your local rescue without even leaving your living room. If you have some photography skills you can help animals in need by taking adoption photos for local shelters. Most people find search for pets on pages like petfinder, and with a great profile picture animals have a much greater chance of being adopted. If you have some graphic design, social media, or web design skills offer those skills to a local rescue. They rely on word of mouth to network their animals, and the internet is usually the first place potential adopters start their search. If you’re not familiar with creating graphics programs I recommend checking out Canva. They’ve got plenty of free templates to choose from, and they’re pretty user friendly when it comes to getting started. I’ve also put together a little guide on creating graphics for adoptable pets, including tips on effective networking. If you’re looking for an easy way to help your local animal shelter check out the ResQWalk app. ResQwalk is an app that enables you to raise money for homeless animals and earn prizes every time you go for a walk. Other cool features of the app include: prizes at the end of each walk, a news section with pet related content, a shop section with product deals and offers, and profile pages for users and rescues to track both miles walked and dollars raised. There are plenty of ways to help animal shelters, from fostering to setting up a facebook page for your favorite local rescue. Volunteering benefits both the animals and the tireless people running the shelters and rescues. Even without a lot of past experience with animals you can find ways to offer your support. Reach out today and find a local shelter near you — you can make a difference for an animal in need. « Why Do Dogs Eat Their Own Vomit? All great ideas. Even if you can’t adopt or foster, you can donate your time or take pictures. Such great suggestions that ANYONE can do to help shelter pets! Thank you for sharing these tips! We’re sharing your post on The Lazy Pit Bull FB page! And try to convince people not to buy from puppy farms! These are all great ideas! Pop used to sponsor cows at Popcorn Park Zoo and a couple of times a year we donate towels, bedding, cleaning supplies and cat items to our shelter. We also donate food to the local TNR and TW feeds strays in the street. Thank you for being the change. I can’t believe I forgot to mention sponsoring animals. It’s such a cool way to see how you’re able to really impact the life of an animal in need. One of my favorite local rescues (Almost Home Animal Rescue League) has a showcase of animals than need to be spayed/neutered & you can sponsor them & they give you a nice shot out & updates on the animal. It’s such a nice way to make those who donate feel more connected & involved. Hey there! Great article! It’s very important to encourage people to commit to the cause, even when it’s not possible to adopt an animal. We ourselves encourage people to act, we even have an opportunity to buy food for shelter animals on our website and have it delivered to them without leaving home and there are webcams in shelters, so that people could see how the pets are treated. Anyway, thanks for the article, it’s quite interesting and informative, will definitely share it with our followers! Be an “animal chaperone” at special events put on by the animal shelter that invites the public in to meet and greet adoptable pets. You can also work off-site pet adoption events that are held by other animal welfare organizations, news stations, or at community functions. See something, Say something. Bookmark, share and help further build our directory of Animal Rescue Hotlines and let’s be prepared to help animals today! I am always wanting to do more service from my community, and am considering whether or not if I should volunteer for an animal rescue. I like how you said that when it comes volunteering at one, it might not be a glamorous job, but it will make a different. But honestly, I wouldn’t mind cleaning kennels, or taking dogs for a walk. As long as I am making a difference that is all that matters.